Dangerous Lady: Political Sketch of the Chief Foreign Policy Adviser to George Bush, Jr. This article first published in July 2000 during the election campaign under the title Dangerous Lady: Political Sketch of the Chief Foreign Policy Adviser to George Bush, Jr. 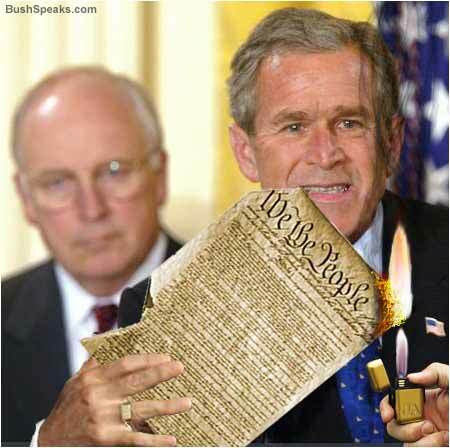 It was posted on GR on September 30, 2001. Taliban in Afghanistan! Absolutely. Reprisals. I thought you were talking about some rock group. That’s how well-informed about the outside world the prospective U.S. president is. Even about very important present-day developments that are on everyone’s lips – that is, everyone with the slightest pretensions to culture; developments that he, if elected, will have to deal with. The person partly responsible for this is Prof. Condoleezza Rice, his chief foreign policy adviser widely tipped as the national security adviser in the Bush administration. The fact is that she herself – how shall I put it – is a little out of her depth in anything that does not concern nuclear weapons and Russia. Ms. Rice is a professional Soviet-watcher; she worked in the Bush Sr. administration for two years; she was an expert on the Cold War – just as, incidentally, all her colleagues in Bush’s future foreign policy department. Whatever her failings, false modesty is certainly not one of them: There was a time, she says, when I knew more about the Soviet General Staff than the General Staff itself did. However, because the Soviet General Staff – for all its sins – cannot be blamed for discrimination against Afghan women, Ms. Rice is rather hazy about the Taliban. At least talking about Iran as a rogue state that supplied arms to Islamic fundamentalists, she included the Taliban among its clients. Mercifully, she did not mistake it for a rock group but she seemed to be unaware that there was no love lost between Iran and the Taliban. 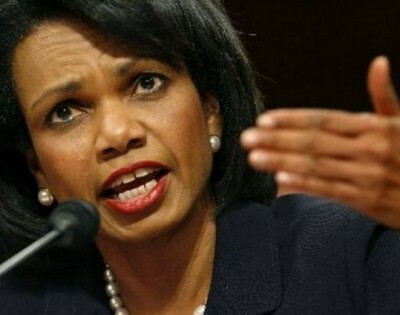 Condoleezza Rice, a petite, fragile-looking, and relatively young (45) Afro-American, grew up in a well-to-do family of college teachers in Birmingham, Alabama. Her parents wanted their daughter to become a pianist. She first went on stage at four, but ultimately opted for an academic career. At Denver University, Condoleezza’s tutor was Prof. Josef Korbel (the father of Madeleine Albright). By her own admission, it was he who (unfortunately for us) got her interested in Russia. She is even fluent in Russian. Ms. Rice’s colleagues, however, maintain that her apparent fragility is deceptive. Richard Armitage, her former boss in the Bush administration, says that if you look at her past, you will see a field strewn with the bodies of those who underestimated her. Be that as it may, her influence on Governor Bush is enormous. Whenever something happens in the world, the presidential hopeful turns to her for explanation. She forced him to memorize his recent policy speech on the national missile defense program, and especially rehearse answers to questions that could be asked. At the last moment, however, Ms. Rice did not entrust him with responding to them. She took them herself. The audience was treated to a fascinating show. Standing on the stage were two former state secretaries, including Henry Kissinger; two former national security advisers, including Gen. Powell (who is widely seen as state secretary in the Bush administration); a former defense secretary, and the presidential hopeful himself. Yet, questions were fielded by a diminutive black woman who had been all but invisible among those massive figures. It was of course great fun to watch. What really matters, however, is Ms. Rice’s foreign policy views. As far as can be judged from her recent article in Foreign Affairs, they are as traditional as can be: balance of power, geopolitics, etc. – all of it couched in terms of the Cold War that provided the backdrop for her entire professional career. Globalization, the building of a “new Europe,” which discarded geopolitics, and the dramatic changes that have occurred over the past decade in Russia somehow went unnoticed by her. The only difference is that she now attributes the role of the former USSR to China. On the whole, her views can be summed up by one phrase: What is good for America, is good for the world. This, you will agree, is strongly reminiscent of the long-derided formula: What is good for General Motors, is good for America. The problem is that the world could disagree. And what would then happen to America?